It is not often our Dads get the chance to totally relax but our recent Dad's Camp weekend held at Bear Cottage, gave them the opportunity to do just that. It was an action-packed weekend which started on Friday afternoon with a 'behind-the-scenes' brewery tour at 4 Pines in Manly and some welcome drinks. Saturday morning began with a craft workshop led by our Art Therapist Judy, which was followed by a very successful fishing trip and BBQ lunch with the crew from Sydney Harbour Escapes. Dads were also able to enjoy a lovely meal together at the Hotel Steyne and a visit to the Sydney Tower Eye and Skywalk donated by our friends at Merlin. To finish off the camp the Dads were treated to a "pampering" experience with a full barber shop experience at Flying Tiger. This certainly meant that despite the huge weekend, the dads went home looking terrific! 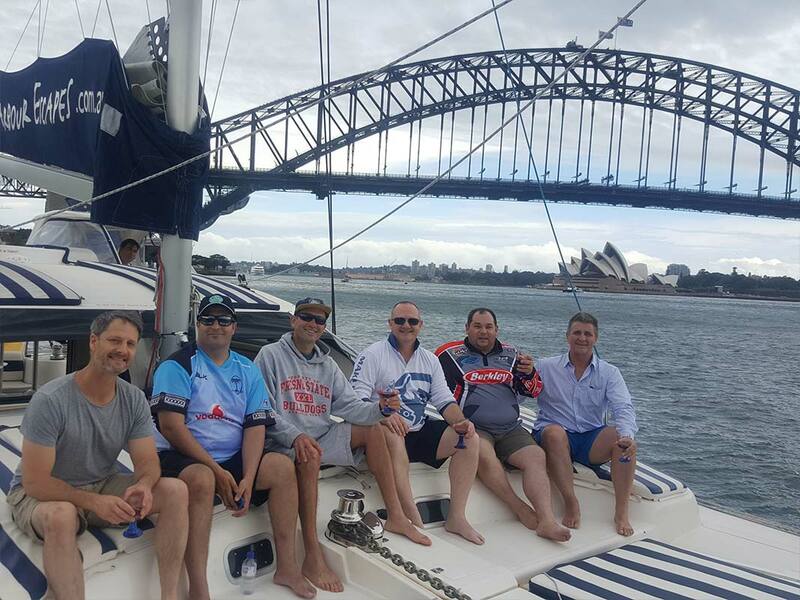 While the focus of the weekend was to ensure that the Dads had fun, there was also plenty of time to allow dads these connect with each other and share their stories. As one dad said "I really appreciated the time with a group of dads who simply get it, without having to try and explain stuff". We have two Dad's Camps in 2018 so please get in touch if you would like to come along.